EcoFarms Organic Vegetable Seeds are hand packed into each cute little tube and then boxed up ready to give as a gift or to keep and enjoy yourself. Sagano Raw Activated Charcoal is high-grade and super fine activated carbon powder made from organic coconuts. It’s odorless, not gritty, food grade and toxin-free. My daughter said she had seen YouTubers make pore strips, so I thought let’s give it a try. The pore strips were so easy and fun, I thought let’s try and make the face mask from the recipe on the bag of charcoal. What happened next was a nightmare! LOL ?? I’m not sure what went wrong? Any ideas or suggestions would be appreciated ? just leave me a comment. Thanks! This was my first time making homemade foaming hand soap. I had no idea how easy and fun it would be to make own. It really felt like I performed a magic trick when I pumped that soap pump and this beautiful billowy white puff of soap filled my hand! 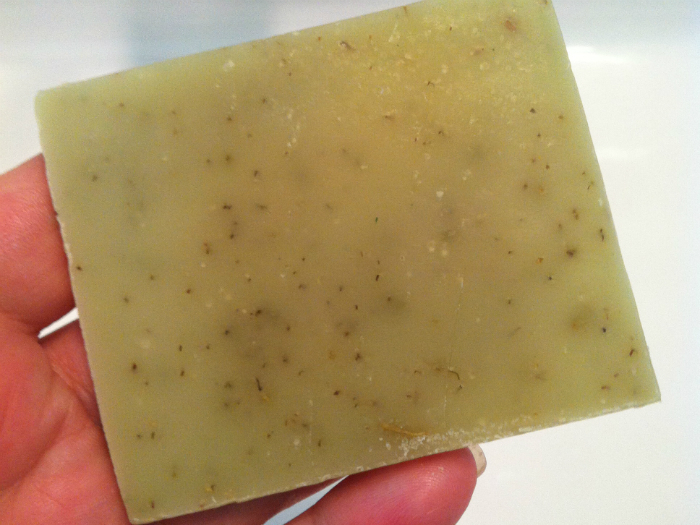 You need to start with a good organic soap base. 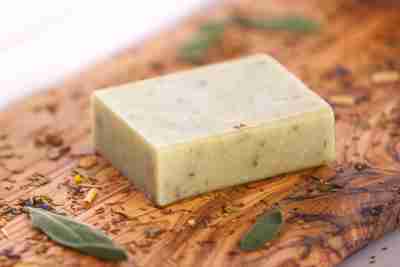 I am using an unscented Castile soap by Cove. This Castile soap is vegan, organic and free of detergents, foaming agents, chemicals, fragrances, and animal products. This multi-purpose soap is meant to be diluted. Cove has also added Certified Organic Argan Oil, Jojoba Oil, Hemp Oil, Olive Oil, and Vegetable Glycerin to their Castile soap to make it more moisturizing. I still add a little more V-6 oil because I really want my foaming soap to be extra moisturizing. Add all your ingredients to your foaming soap dispenser and give a little swish to combine the ingredients. I usually give my dispenser a swish everyday to make sure the ingredients stay combined, because water and oil tends to separate. 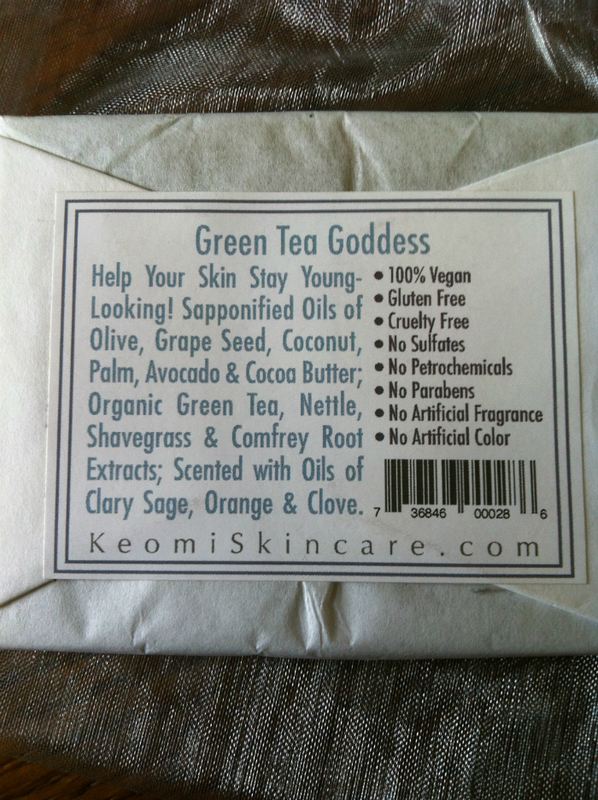 Make sure you are using the best organic ingredients for your soap. I only use Young Living Essential Oils. For more info on how to get your own YL Essential oils click on the banner at the bottom of this post. Or if you have any questions please click here. I received this product at a discount in exchange for my honest unbiased review. This in NOT an affiliate link. I DO NOT get paid if you click this link. Everywhere I look I see pictures of Jamberry Nails… manicure pics, pedicure pics, women and children of all ages wearing Jamberry Nails. I had to find out what all the excitement was about. 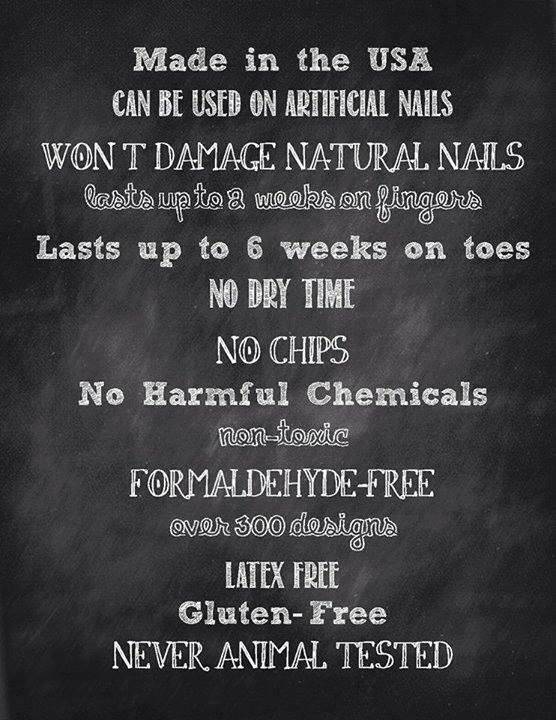 During my research I found out that Jamberry Nails are gluten-free, latex-free, non-toxic and contain no harmful chemicals. Which is ahh-mazing! I just knew I had to try some. I found a Jamberry Nails Independent Consultant and she offered to send me some samples to try so I could write a blog review and host a giveaway. I watched so many YouTube videos on how to apply the nail wraps that I was a little intimidated when I got them. I was so excited to try them, but I just knew I was gonna mess them up, so I just kept on watching videos, and getting more and more anxious about the application. Well I wasted a lot of time and energy because putting on the Jamberry Nails was a piece of cake… nothing to be anxious about at all. Of course like with anything you do a little practice makes you better. 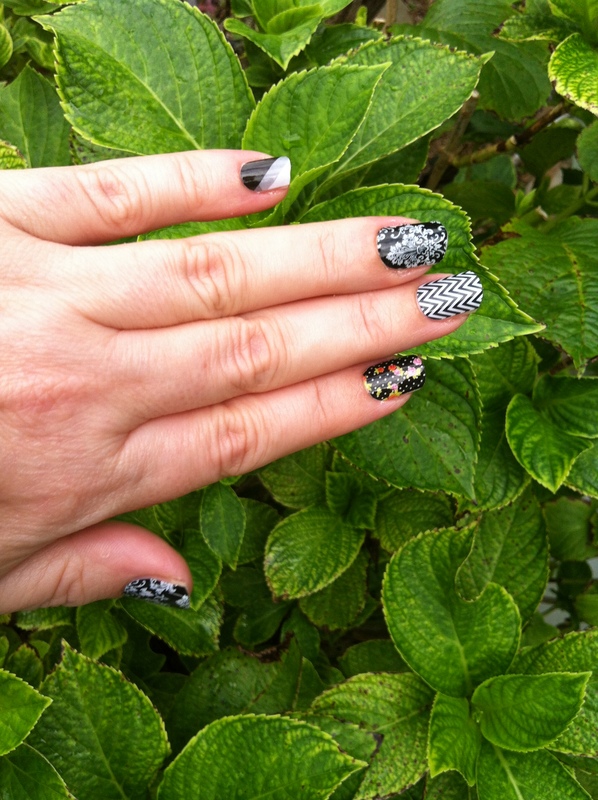 Jamberry Nails Sample Sheet with 2 Accent Nail sheets. My first nail took a bit of time because I was getting used to the process, but after that I kept getting better and better at it. Honestly it is easier than painting your nails. I always made a mess with the polish on my cuticles and then of course I had to smudge at the very least one nail while waiting for them to dry. There is no drying time or chipping with these wraps. YAY! I finished my first Jamberry Nails Mani. I could have done all my fingers with the one design or chosen one accent nail on each hand. But I like being different and I couldn’t make my mind up on just one accent nail, so I though “Why choose just one!” That is the beauty of Jamberry Nails – you can mix and match all you want. 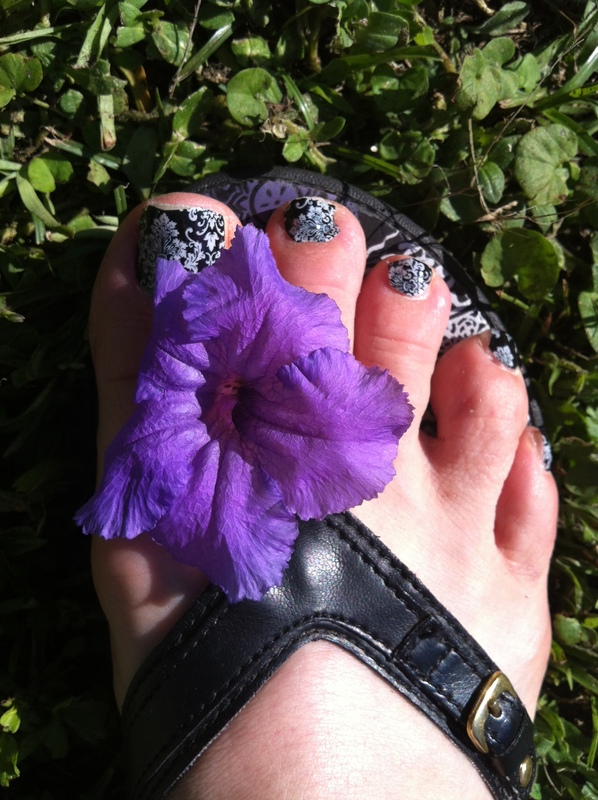 My toes were getting a little jealous so I decided to give myself a pedicure too. The toes were a little more difficult because I had to cut them to fit each toe, but I will save the wraps when I remove them from my toenails and use them as a template for next time. Here is the official video on application and removal. 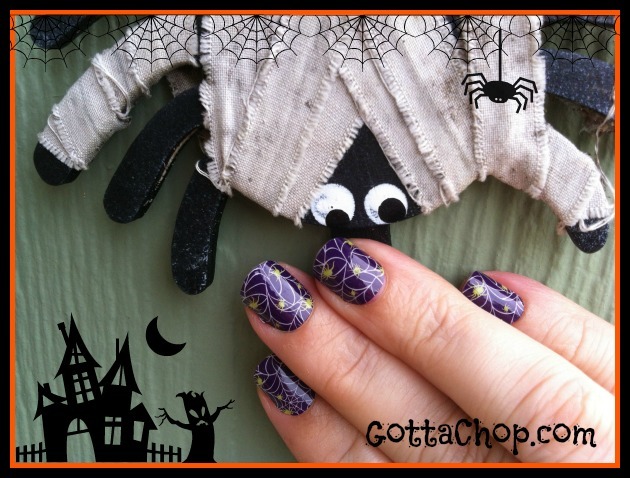 I just gave myself a Webtastic Jamberry Nails Halloween Manicure. Love it! Christmas is just around the corner. 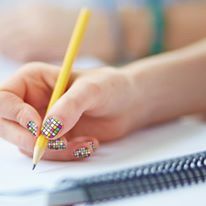 I know I am already trying to come up with fun and unique gift ideas, and women and girls of all ages love expressing themselves by doing their nails, and would enjoy getting some Jamberry Nails and creating their own unique mani and pedi’s. Check out all the Holiday Nail Wraps — There are Halloween, Thanksgiving, Christmas, and Winter themes. 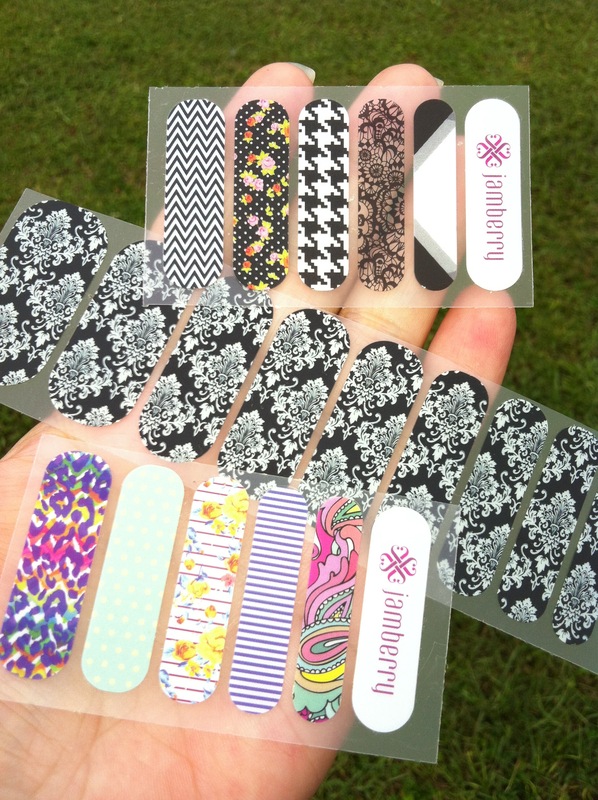 A Jamberry Juniors section with smaller sized wraps to fit kids or small nails. There is something for everyone with over 300 wraps to choose from. 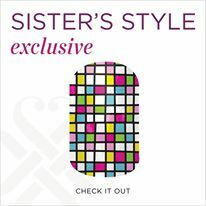 The giveaway is for the Sister’s Style Exclusive Jamberry Nail Wrap — “Check It Out”. I have oily skin but get dry patches on my face and I have tried so many different ways to exfoliate my face. I am not using commercial facial cleansers to cleanse and exfoliate my face anymore because of all the harsh chemicals and toxins, I am looking for new “green” alternatives. My face would be so red and irritated afterwards and the next morning I would still have a few patchy dry areas. 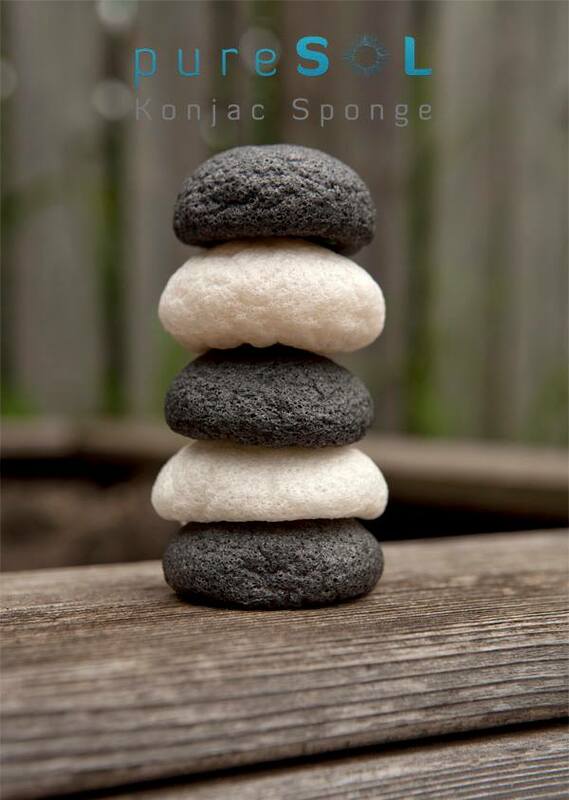 PureSOL Konjac Facial Sponges have come to the rescue. They are so easy to use, and you don’t have to use a cleanser with them. I sometimes use a little Dr. Bronner’s Castile bar soap in the shower when I wash my face. My favorite way to use my sponge is when I get up in the morning or before bed right at my bathroom sink with just plain warm water. I just let warm water run over the sponge cupped in my hands until it becomes soft and full of water. Then I massage the konjac sponge all over my face and neck in a small circular motions. It is so easy and no mess. I was never one of those people who could splash water on my face to wash off soap without getting water everywhere. It is small enough to hold in my hand and reach those awkward areas around the nose. I also have a nostril piercing that was so hard to exfoliate around and I would always have dry skin or soap build up around it that drove me crazy. Now I gently clean around my piercing and I do not have the dry skin problem anymore… love that! Plus those pesky little blackheads that like to live on my nose are almost all gone. The texture of my skin has improved so much and my make-up goes on smoother and looks great. I will definitely be a lifelong user. Konjac is a moisture rich plant fibre which is by nature alkaline, and thus balances the acidity of the skin’s impurities and oils. The unique net like structure of the sponge gently massages the skin, breaks down dirt, stimulates blood flow and new growth of skin cells. Leaving the skin extremely clean and refreshed! I want to say a special THANK YOU to Michele Crockett from Michelle Crockett Photography for so generously allowing me use her beautiful images of the PureSOL Konjac Sponges for my blog review. Be sure to stop by her webpage and social media pages for more information about Michele and her photography and check out her portfolio. You know when you just washed your hair and it is so clean you can’t style it or get it to cooperate with what you are trying to do. Well now you can apply some NEVO to get that second day texture to your hair. NEVO is vegan and gluten-free. To enter this giveaway use the rafflecopter below. I received this product in exchange for a review and I LOVED it! Lived-In Powder Potion is a lightweight fine powder that transforms into a lightweight, velvety pomade product. Something like this has NEVER been seen before on the market. There is no grainy grittiness left in the hair like seen typically with powder volumizer products. Has a medium hold and builds the foundation for styles. Instantaneously creates second-day texture. Pravana Nevo Care products are 100% vegan and gluten free. 100% biodegradable packaging. 5% of all Nevo product sales is donated to City of Hope for the fight against cancer. Giveaway Dates: 12AM EST on 9/04 through 12AM EST on 9/20. Giveaway is Continental US only and must be 18 years old to enter.